Want to save money with smart energy use? The following links provide valuable information to help you get started. Smart homeowners want to get the most value from their energy dollar. One way to increase the comfort of your home while potentially saving money is to make energy efficiency improvements. 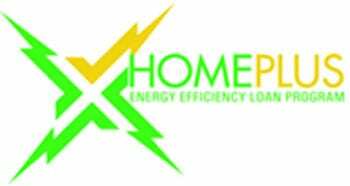 To make this process easier, Coweta-Fayette EMC has partnered with GEMC Federal Credit Union to develop the HomePlus Loan Program, a fast and economical way to finance your energy efficient upgrades. How do I get started improving my home? First determine the improvements you want to make to your home and obtain an estimate for your home energy upgrades from the approved contractor list. Then complete a simple GEMC FCU HomePlus Loan application and submit it to Coweta-Fayette EMC. Any existing homeowner receiving electrical service from Coweta-Fayette EMC who has a good credit score and payment history with the cooperative is eligible to apply for the loan. Once we receive your completed application, we generally process them within 24 hours. Please do not proceed with your home improvements until you have received confirmation from GEMC FCU. What improvements can I finance through GEMC FCU? You may finance all EMC approved energy upgrades including Energy Star rated heat pumps, water heaters and double pane windows, plus weather stripping, attic and floor insulation, caulking, duct insulation and sealing. Coweta-Fayette EMC will verify the completion of your home improvements. You will then sign your loan documents and the check will be made payable to you and the contractor. What is the interest rate for a HOMEPLUS loan? Your monthly loan payment will appear on your Coweta-Fayette EMC bill and will be applied to your HomePlus Loan.